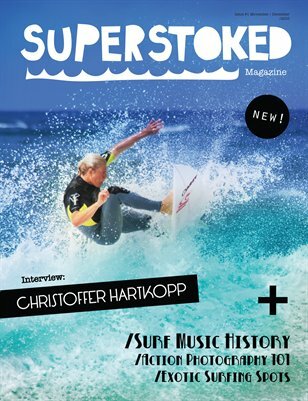 The first 44-page issue of Superstoked Magazine is finally here; featuring some of Europe's finest surfers, such as Christoffer Hartkopp, the Guichard twins and Timothy Latte. This issue has a main focus on Portugal and the european surf scene, but also features pictures and articles from Morrocco, United Kingdom, Norway and Sweden. Superstoked about surfing? Well, then this is the magazine for you.